I'm not totally aware where these numbers are based. So it looks like verses are same for all editions, but why 1534 is mentioned sometimes? Words and letters alter quite a lot. Hebrew modern edition seems to have closest correspondence. So my main question is if someone can identify where comes one word and 5 letters difference between Hebrew Modern and alleged "exact" numbers from unidentified source. 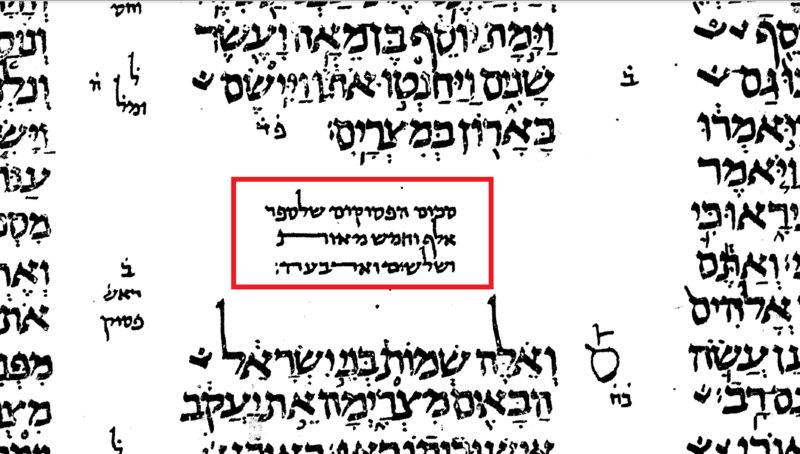 Note that Hebrew modern edition has one word less than 17064 but five letters more than 78064! Locating Masoretic Text and Samaritan Pentateuch it looks like Hebrew modern is very close to Masoretic Text. 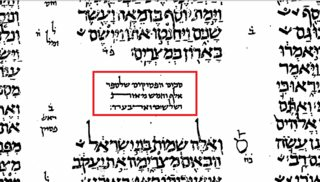 Please click to enlarge; this same image can be found within the Codex online on the middle of Page 67. Please click to enlarge; this same image can be found within the Codex online on the top left hand side of Page 245. Not the answer you're looking for? Browse other questions tagged pentateuch-chumash statistics .